Land Survey: Maclear re-measured La Caille‘s Arc of the Meridian in order to find out where La Caille went wrong, and so Maclear proved that the earth is round. Maclear’s geodetic work led to the setting up of the Government Trigonometrical Survey Office of South Africa. Assisted in the establishment of lighthouses. Thomas Maclear was a medical doctor by profession, who became an Astronomer and Land Surveyor. He did sterling work in the field of Astronomy & he made so many observations that it kept two successive directors busy reducing the data. Maclear’s greatest contribution is as Land Surveyor. Apparently he was also a good doctor. The Early Life of Thomas Maclear. Influence of the Smythe family. One of the Astronomers, who worked with Maclear at the Cape, was Charles Piazzi Smythe. (Sometimes spelled Smyth) Maclear had a close acquaintance with the Smythe family. “While living at Bedford, Maclear had made the acquaintance of the Smyth family, whose head, Admiral William Henry Smyth, had served in the Royal Navy during the Napoleonic Wars. Later he was also acted as a hydrographer to chart the Mediterranean. The old Admiral, was very much of a character – to put it kindly, he was an eccentric. 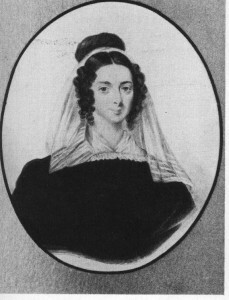 Smyth married the daughter of a British merchant who lived in Naples and naturally made various Italian friends. One of them was the astronomer Giuseppe Piazzi, who had acted as director of the Palermo Observatory in Sicily and had achieved fame in 1801 when he had discovered (and named) the first asteroid or minor planet, Ceres. Maclear and the Admiral struck up a friendship, and while Maclear was at Bedford he was given free, unrestricted use of the Admiral’s astronomical equipment. He began observing, and his results were so good that the professionals soon took notice of him. He became a Fellow of the Royal Astronomical Society and frequently attended London meetings, so that his circle of scientific friends increased. Through the Admiral he met Sir Francis Beaufort, (Hydrographer, and inventor of the well known scale of wind forces), and John Herschel, who was destined to play a major role in astronomy at the Cape. Maclear and Herschel became life long friends. Appointment to the Cape of Good Hope. Life at the Cape Observatory. Maclear was send to the Cape with a specific mission. He must prepare a catalogue of Southern Stars. As we will see he never quite got around to it, as there were other very important projects that required his attention. An important factor for the success of the Cape Observatory during Maclear’s time was his friendship to John Herschel. As already mentioned he met Herschel through another mutual friend, Admiral Smythe. 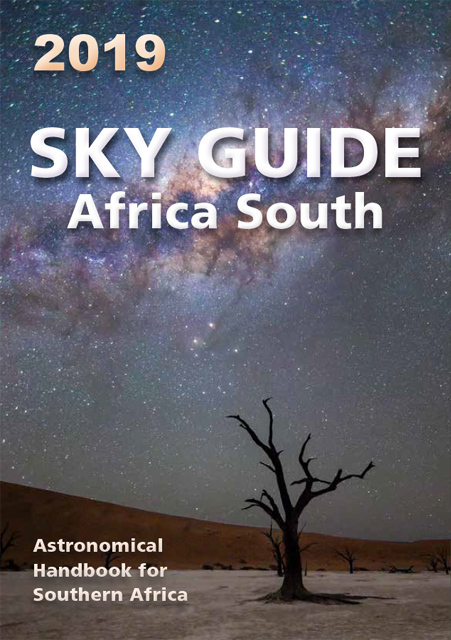 John Herschel, son of the famous William Herschel, decided to move to Cape Town (1834 â€“ 38) in order to extent work his father began to the Southern Skies. His move to Cape Town was one of the reasons Maclear decided to accept the appointment at the Cape. Herschel’s help, opinions and advice were invaluable to Maclear during the relative short time of four years that Herschel spends at the Cape. 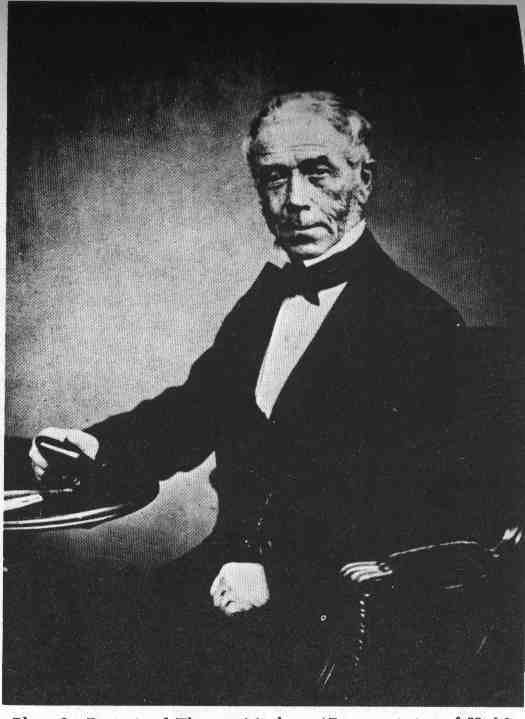 However, once Herschel returned to England, he was a respected scientist near to the seat of power (Queen Victoria conferred a Baronetcy on him), and influential with the British Admiralty and important scientific institutions. He used his influence to help Maclear and the Cape Observatory whenever he could. In 1751-3 Abbe De La Caille was send by the Paris Academie of Science to Cape Town in order to measure the curvature of the Earth. Something went wrong and the measurement showed the Earth to be pear shaped, not round like an orange. This put the scientific community in a conundrum and now, 80 years later, the Admiralty wanted a conclusive answer and the mystery solved. Maclear was tasked to re-measured La Caille’s Arc of the Meridian. It was probably the most important project Maclear ever did. This was the start of Land Surveying in South Africa as Maclear set the standard length measure. With a bit of poetic licence it can be said he proved that the earth is round. For the complete story, click here. Latter Years Improvements at the Cape Observatory. In 1839 important instruments arrived at the Cape, due to the influence of Herschel. These included replacing the Jones- with the Greenwich Mural Circle. The Bradley Zenith Sector was used to by Maclear to re-measure the Arc of the Meridian. -Committee of the Association for Exploring Central Africa. [Warner – Astronomers, p.70.] Herschel was also on the Committee. 1834 (January 5) Maclear arrived at Cape Town as director of the Royal Observatory. 1794: Born in County Tyrone, Ireland. Maclear brought a valet with him to South Africa. The valet became a famous painter in South Africa, Thomas Bowler. 1861: (July 27) Mary Maclear die. Buried in the grounds of the Cape Observatory. – Maclear tended to be dictatorial as director and was referred to as “The Emperor”. – He was a very social person, as well as serving on several committees. – William Mann married Maclear’s daughter. Honorary: (Non tangible) Places named after him. Town and District of Maclear in the Eastern Cape Province (South Africa). Amod A, et. al., A History of Geodetic Surveying in South Africa – Part 1, The Cape Odyssey, Historical Media cc, Cape Town, Aug./Sept. 2002 – Vol. 2 Issue 7, pp. 1 – 9. Koorts, W.: The 1882 transit of Venus: The British expeditions to South Africa; MNASSA April 2004, Vol. 63 nos. 3 & 4, pp. 34 – 57. Laing, J.D. (ed. 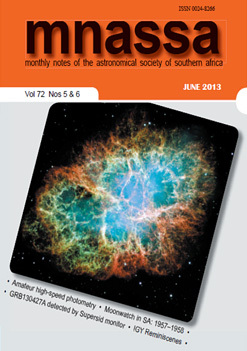 ), The Royal Observatory at the Cape of Good Hope 1820 – 1970 Sesquicentennial Offerings, pp 11 – 12. MNASSA, Vol. 48, Nos. 5 & 6, 1989 June, p. 59. -Maclear Family papers 1843-90. 5 items (Ref. A253f) (contains MS account of early life of Maclear, letter book 1878-79 of Capt. Harry Maclear, meteorological notes). -Draft of obituary of Maclear (Ref. A616f). -Letter from Maclear to J. Herschel 1851 November 28, recommending Bain (Ref. Bain Papers A6). -Maclear: Folio volume of sketches computations, diagrams and descriptions of Maclear’s survey expeditions. Also including Journey of 1837 May with Capt. Williams in search of Lacaille’s trigonometric station and Base Line site; triangulation to connect Cape Observatory with Feldhausen (J. Herschel’s residence) and Lacaille’s site in Cape Town; local triangulations around Lacaille’s other sites. Files 1-15Letters received by Maclear, 1811, 1813-14, 1816-26, 1828-79, arranged in alphabetical order. File 2 contains correspondence from Sir Francis Beaufort. File 5 contains letters from John Herschel to Maclear. 73-77Letters received by Mrs Maclear. 78-79 Mrs Maclear’s diaries 1832-59. 80-83Correspondence of other members of Maclear family. 85-91 Diaries of Miss Mary Maclear (Maclear’s daughter) 1859-1900. 97 Letters to Maclear concerning Surveys. 100Miscellaneous Arc of Meridian and Observatory accounts. 101-103 Miscellaneous Observatory (Maclear) papers. 108-111 Miscellaneous observatory accounts (Maclear). -Almost all documents relating to the business of the Royal Observatory prior to Gill’s arrival in 1879 have been sent to the Archives at the Royal Greenwich Observatory. Exceptions are a bound volume of official letters received by Maclear (1834-53), copies of letters sent 1856-57 (water damaged, partly illegible) and several volumes of copies of magnetic and meteorological observations made in the mid-1800s. The writer proposes to request the transfer of the first of these items to the Maclear papers in the South African Archives. – The Archives of this Museum contain extensive correspondence on Museum matters by Sir Thomas Maclear and Sir David Gill, both of whom were Trustees. – David Livingstone: Astronomical Observations (1853-72) with computations and summaries therefrom made by Maclear (Ref. LI, 1/3). These consist of miscellaneous papers and diaries and field notes kept by Livingstone, with Maclear’s calculations of positions deduced from Livingstone’s observations. Includes lunar occultations and observations of phenomena of Jupiter’s satellites. Maclear gives a short account of Livingstone’s trips. -Thomas Maclear (1833-70). Meridian observations, corrections and reductions (1834-54), 12 vols. Comet and occultation observations (1834-65), 7 vols. Observing notes 1834-37 (including extensive notes and sketches of Halley’s comet). – Official correspondence: Simon’s Town (1850-69), Admiralty (1853-70), Colonial Government (1861-72), General (1844-69), II vols. Weekly registers (reports of work done), 1849-60. Chronometer books (1836-38, 1849). Magnetic observations (1842-57). Meteorological records (1834-42,1865-73). -Maclear’s personal diaries (April 1834-May 1835) and memoranda. -Personal correspondence: extensive collections with C. P. Smyth (on Arc of Meridian in the Cape), Airy and Jacob (Madras). -Arc of Meridian (1839-48): Original observations (II vols. ), general correspondence (mainly with Airy) 1849-70 (3 vols.). Royal Observatory at the Cape of Good Hope. Maclear was knighted for his work in order to re-measure Lacaille’s Arc of the Meridian. In this carricature drawn by Smyth it shows Maclear just to the left of the centre, at his microscope measuring the distance between two measuring rods.